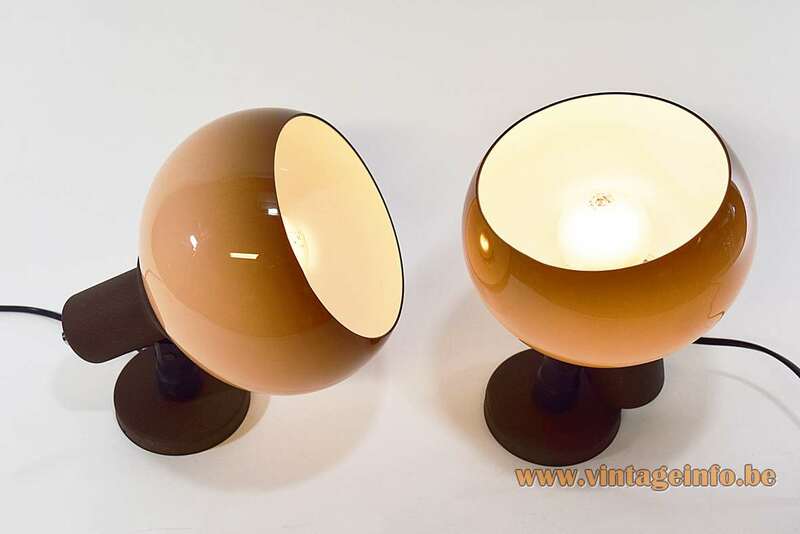 Materials: Brown degrading acrylic round lampshades. Brown painted metal (aluminium). Some brown plastic parts. Made with galvanized metal or Bakelite sockets. Any type of light bulb can be used, but preferable a white/opaque one. 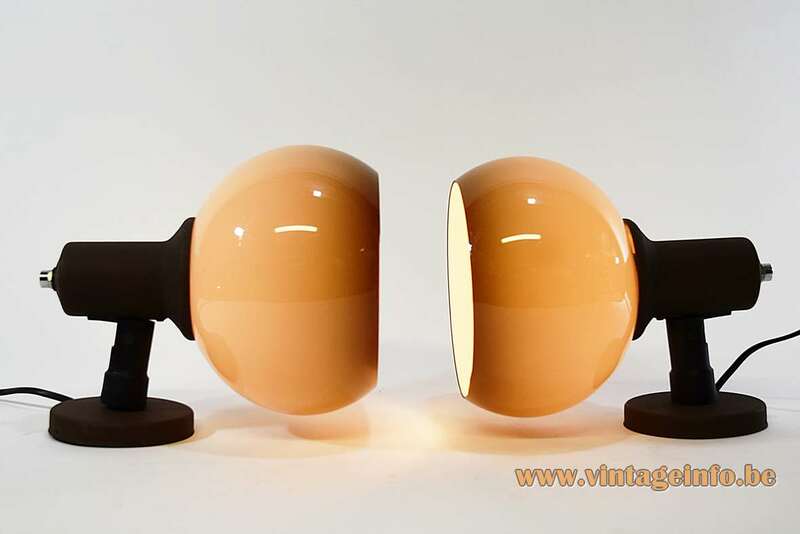 These lamps are made after a design by the famous Italian Company Harvey Guzzini. 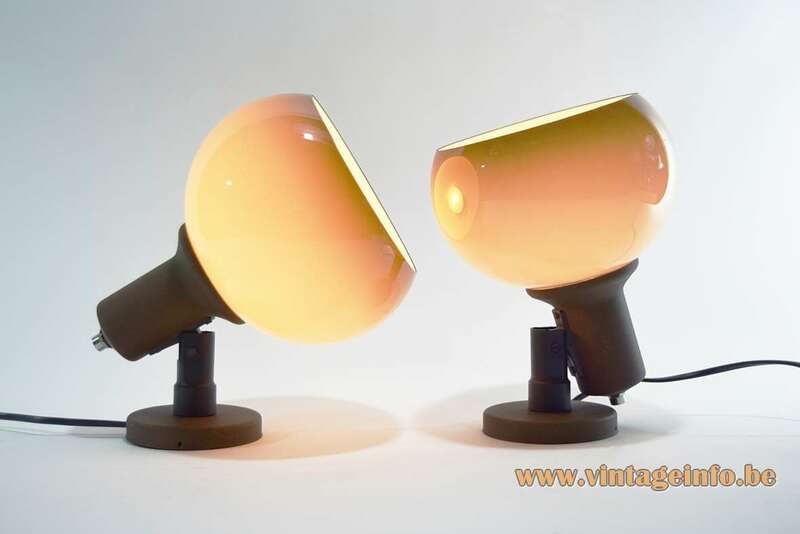 In the 1960s and 1970s they had a huge success with this type of lamps. Especially when they released the series of Clan, Bud and Flash lamps in 1968. Soon other companies sold their versions/interpretations. But they never succeeded in a good copy. 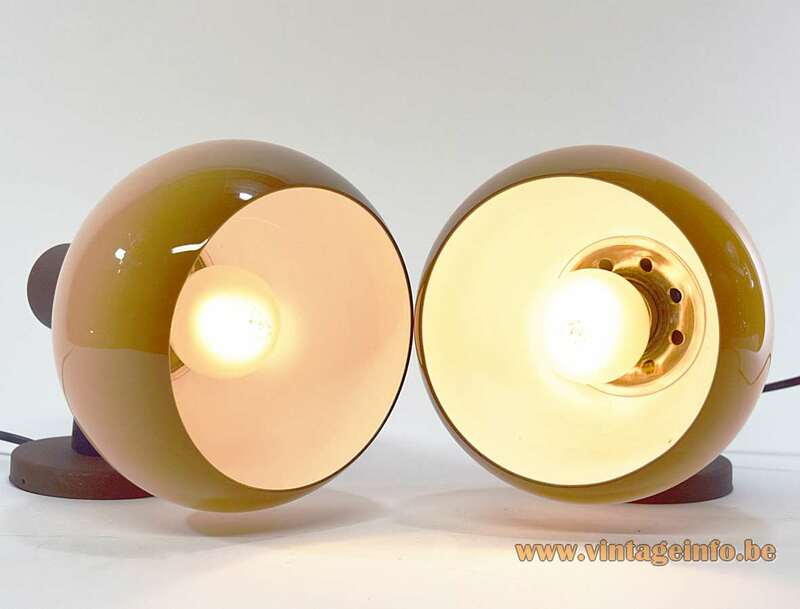 The colour is OK when lit, but the brown isn’t as nice as the Guzzini lamps when not lit. 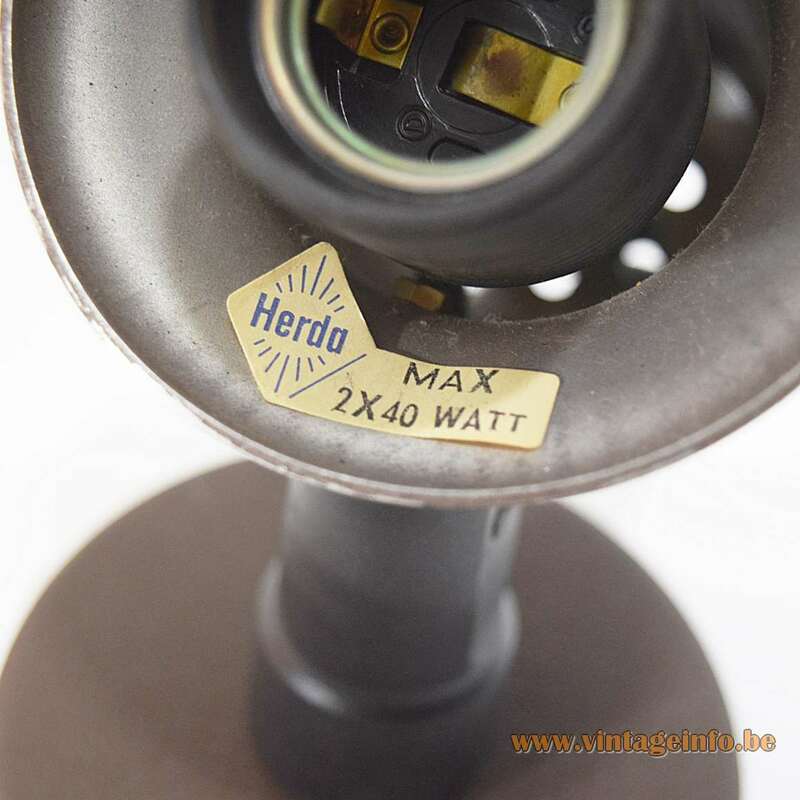 Herda had some top designers employed, including Willem van Oyen Sr. who is famous for his lamps he designed for the Raak company, also from The Netherlands. 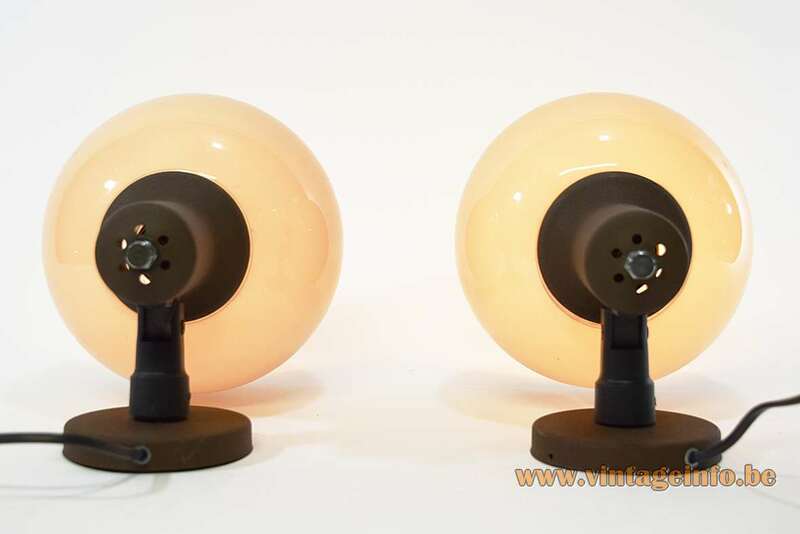 These lamps can be used as wall lamps, ceiling spots and so on. The label says: 2 x 40 watt, apparently they were always sold as a couple. 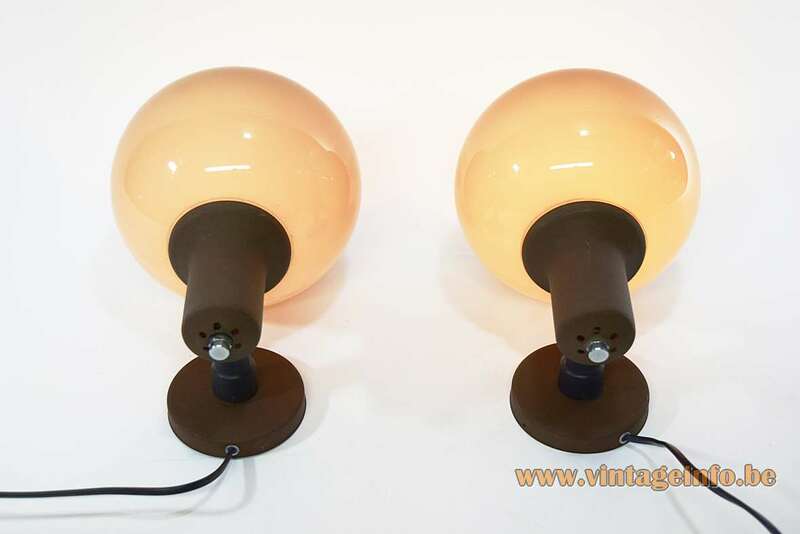 These brown acrylic lamps are often confused with lighting produced by Dijkstra, another Dutch company. 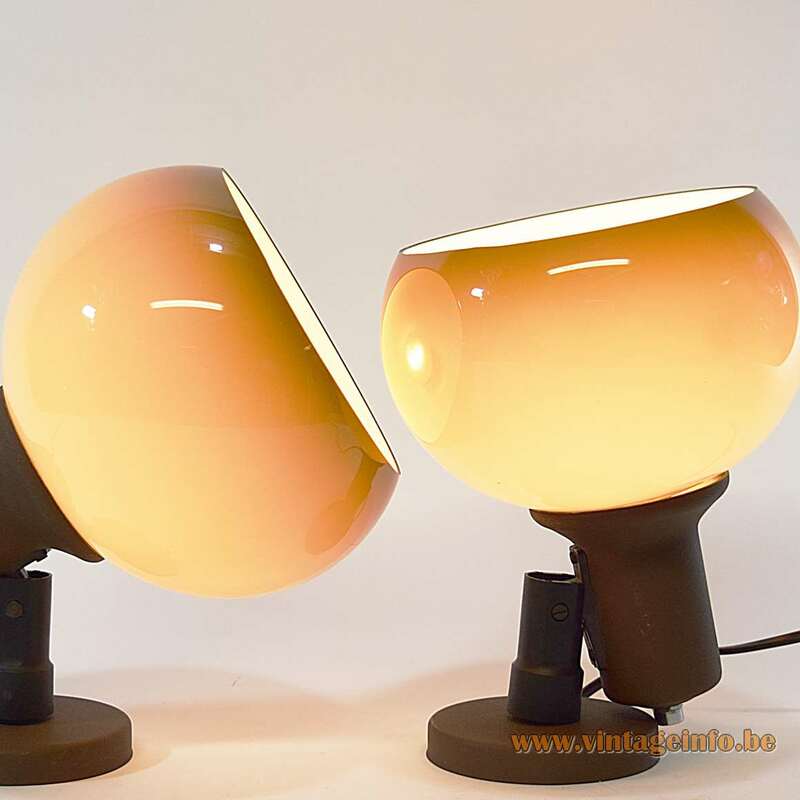 Dijkstra sold many similar lamps. In all probability the lampshades came out of the same factory. The other parts are different.